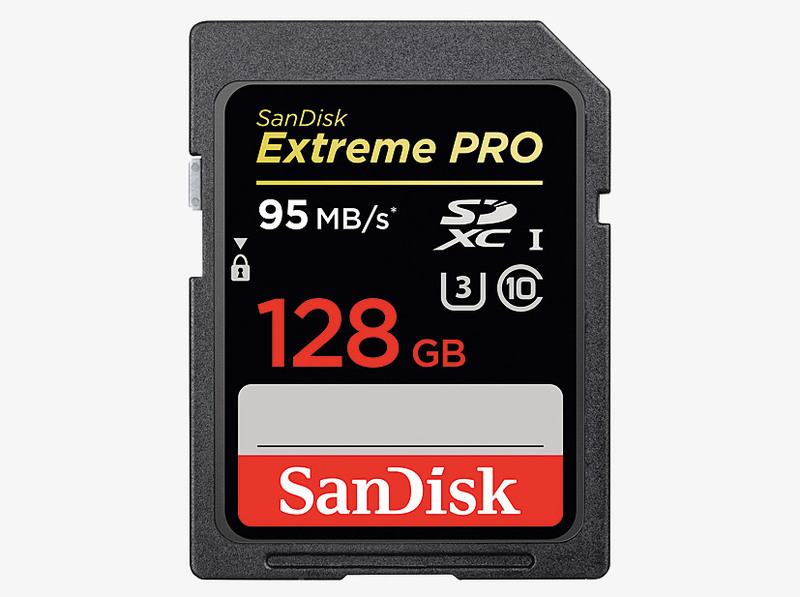 Sandisk are a premium manufacturer of a range of memory storage devices, offering an 'industry-leading combination of storage and professional-grade performance'. 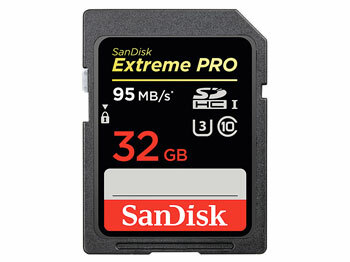 Available in a range of capacities, these Extreme Pro memory cards are intended for users of DSLR cameras and high-resolution camcorders. These offer a write speed of 90MB/s and a read speed of 95MB/s, to 'handle rapid shots, sequential burst mode, and RAW plus JPEG capture with ease'; UHS Speed Class 3 (U3) and Video Speed Class 30 (V30) offers a guaranteed sustained minimum write speed of 30MB/s, intended 'for professionals recording extreme sports and other fast-action activities without dropping frames'. Designed for extreme environments, these cards can withstand 500Gs of shock; operate between temperatures of -25 to 85 degrees C; withstand 72 hours in 1 metre of fresh or salt water; and are immune to airport X-rays. 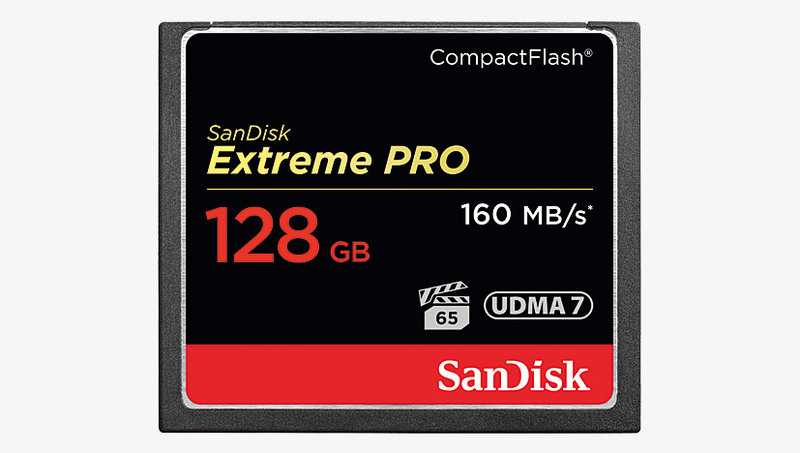 Offering a write speed of 140MB/s and a read speed of 160MB/s, these memory cards are 'optimised for professional-grade video capture'. 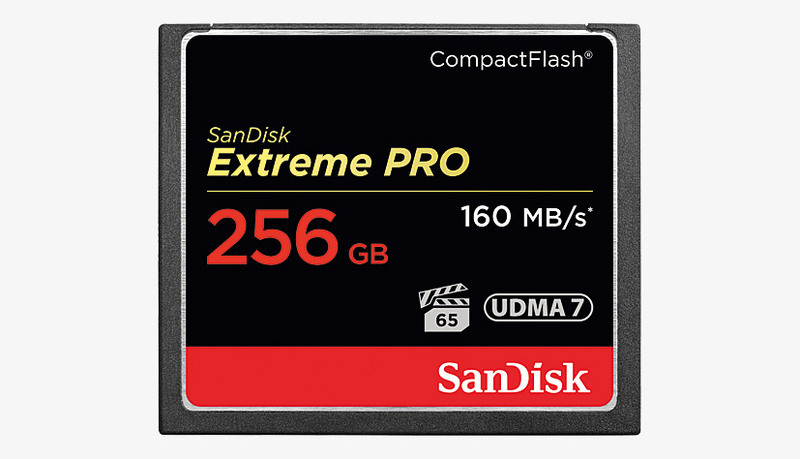 The Sandisk Extreme Pro Compact Flash memory card 'is the world's first high-capacity card that supports VPG-65, the Video Performance Guarantee specification that ensures smooth 4K video recording as well as Full HD'. These memory cards are also UDMA 7 enabled. These durable cards can operate in temperatures between -25 to 85 degrees C, and are tested with rigorous stress, shock, and vibration procedures. They also feature a silicone coating for added protection against shock and vibration.